This recipe is in collab with Natures Charm. 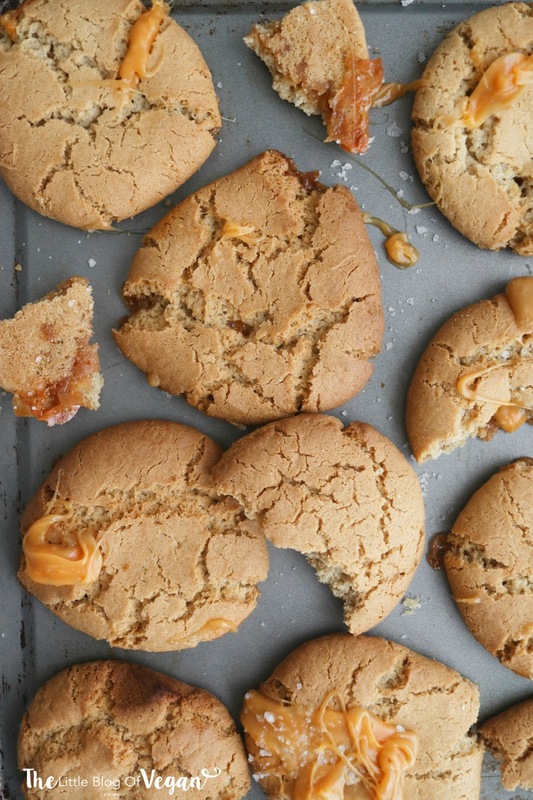 Everyone's had a chocolate chip or gingerbread cookie, but what about a caramel stuffed cookie?! If you're looking for a seriously scrumptious treat, I have you covered! 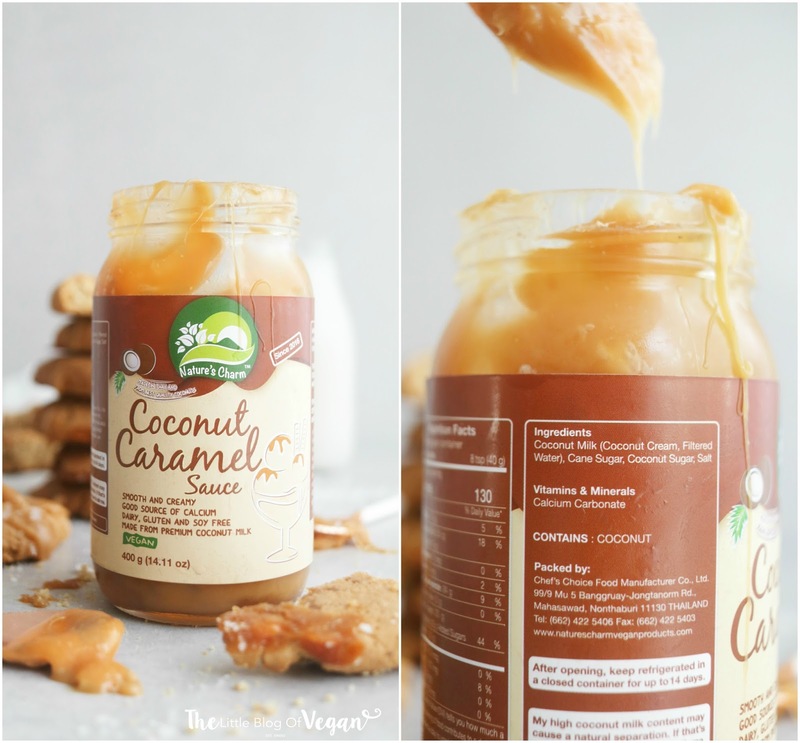 These vegan caramel stuffed cookies are absolutely delicious. They're crisp on the outside with a gooey filling, topped with a dash of sea salt to bring the flavours out even more! The combination of salty & sweet is divine. 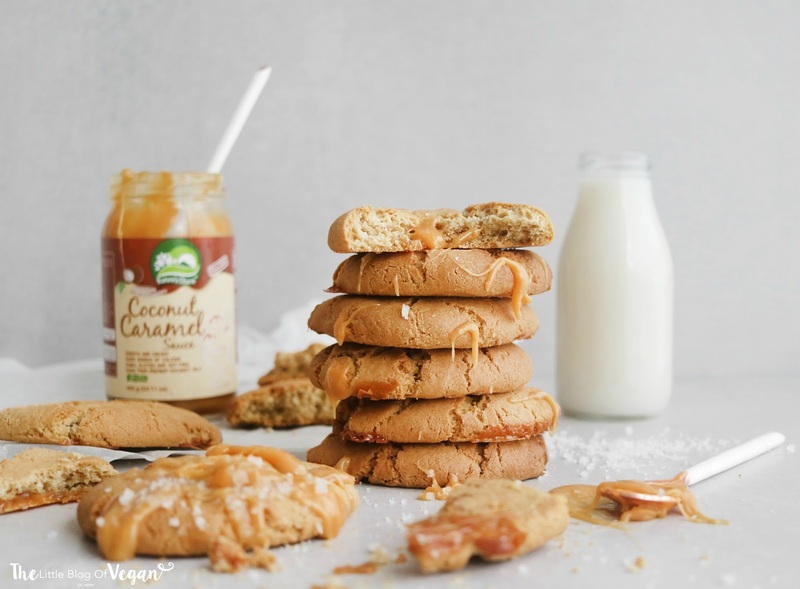 I stuffed these cookies with Natures Charm 'Coconut Caramel sauce'. 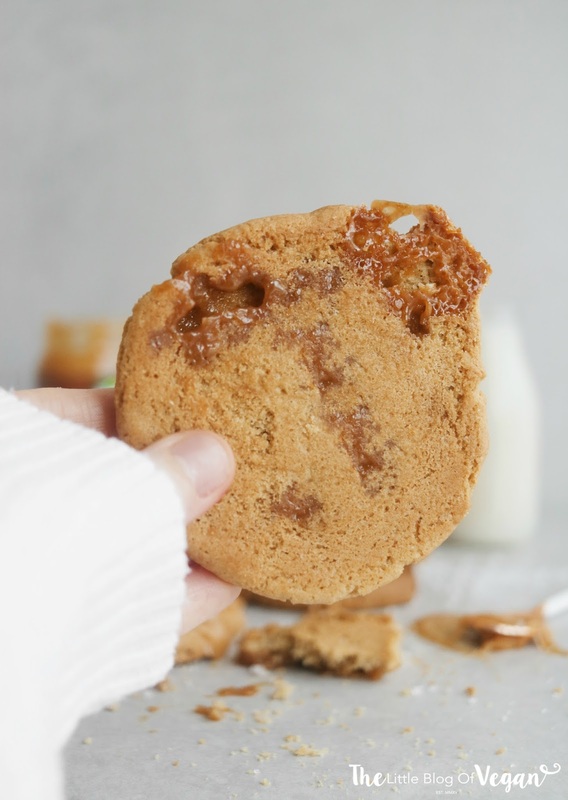 I chose to use the caramel sauce in this recipe as it's an ultra smooth & creamy sauce which is thick enough to be pushed into the centre of the cookies. The smell of these cookies in my kitchen was amazing! I wish I could bottle up the scent, haha. Step 2- In a large mixing bowl, cream together the butter and sugars. I use my stand mixer fitted with the paddle attachment. 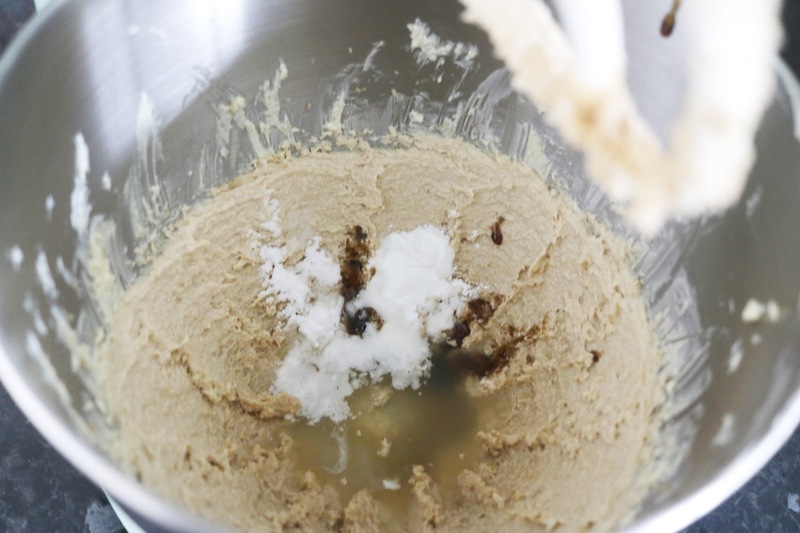 Step 3- Add in the vanilla paste/extract, bicarbonate of soda, baking powder and aquafaba. 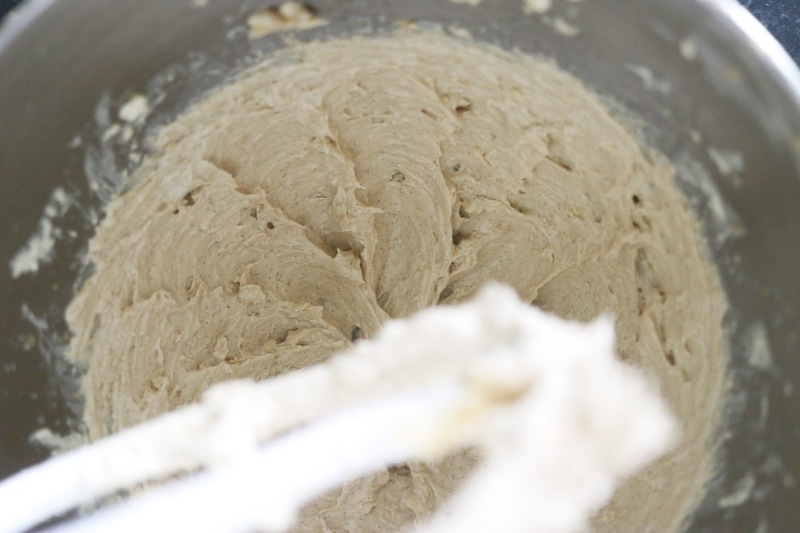 Step 4- Lastly, sift in the flour and mix until a dough if formed. 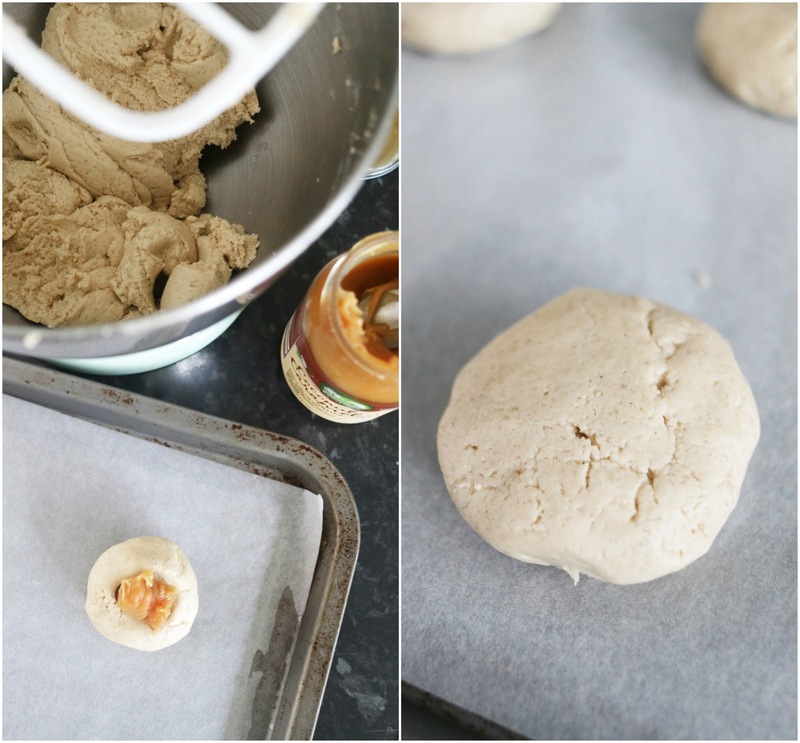 Step 5- Roll around 50g of the mixture into balls, flatten the middle, add in some caramel sauce and pinch the cookie dough together to seal it in, then place onto the lined baking tray. Step 6- Pop the cookie into the fridge for around 35 minutes. Step 7- After 40 minutes, immediately place them into the oven and bake for 14 minutes or until golden in colour. Once baked, remove them from the oven and allow them to cool. As they cool, they will crisp off. 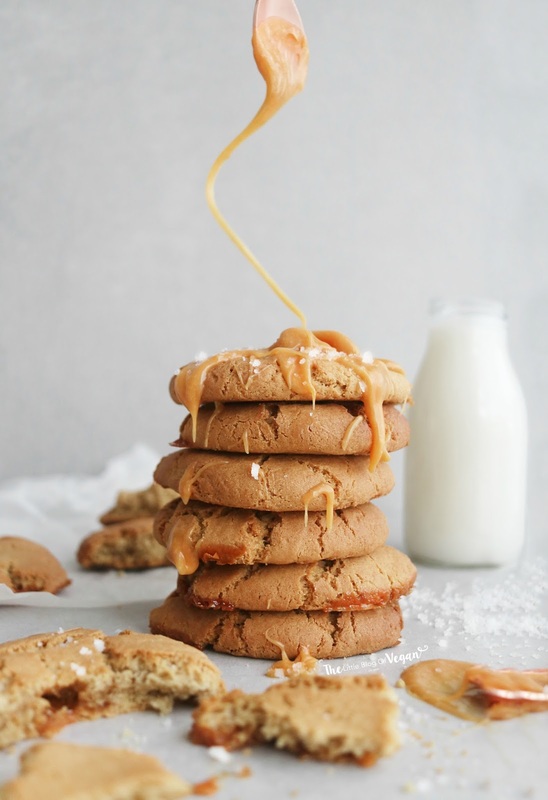 I served my cookies with a drizzle of caramel sauce and pinch of sea salt. WOW these cookies look amazing!! !